Make sure to get this sweet new freebie from SavingStar! 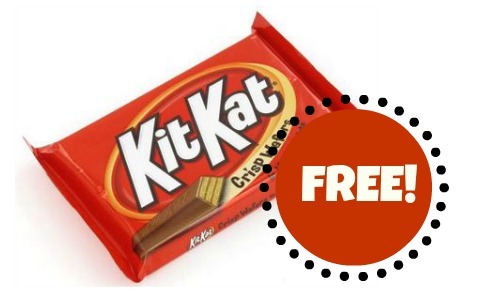 Through 12/21, you can save 100% when you buy a Kit Kat Bar. Next time you’re at the store, don’t forget to pick up this yummy treat! Grab the candy at any store you have registered with on SavingStar (it’s FREE and super simple). This coupon expires on 12/21 and is good for one use only. If you are new to SavingStar watch this short video that explains it all!